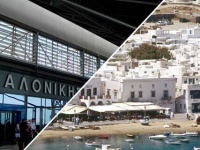 Taxi-Transfer.biz › Greece › Transfer from airport in Rhodes to Faliraki: what to choose? Time in way: 25 min. On the north-east part of Greek island Rhodes there is famous sea resort Faliraki. 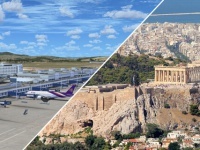 The distance between it and international airport in Rhodes is 16 km. It’s not close and you can overpass this distance by local bus, booking cab or transfer or hired car. Trip by bus will save you some money, but it will take some time, because you will have to transfer. At first you should get from airport to Rhodes. There is regular transport departure (from 6:30 am to almost midnight) of «R. O. D. A.» transport company, it goes no longer than every 30 minutes. You will recognize those buses easily, they are painted in white-blue paint. The bus stop, from what they depart is situated in 200 m from exit of terminal, you just need to turn left and walk forward. You should pay the driver for your trip, it will cost just 2.5 euro per person. You need the last stop and it will be local bus station of Rhodes (East Side Bus Station), the trip will take you about 30 minutes. 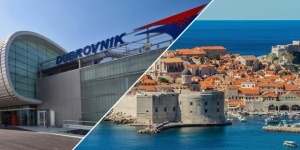 By your arrival, you should walk forward to Rimini Square, where buses depart to Faliraki. 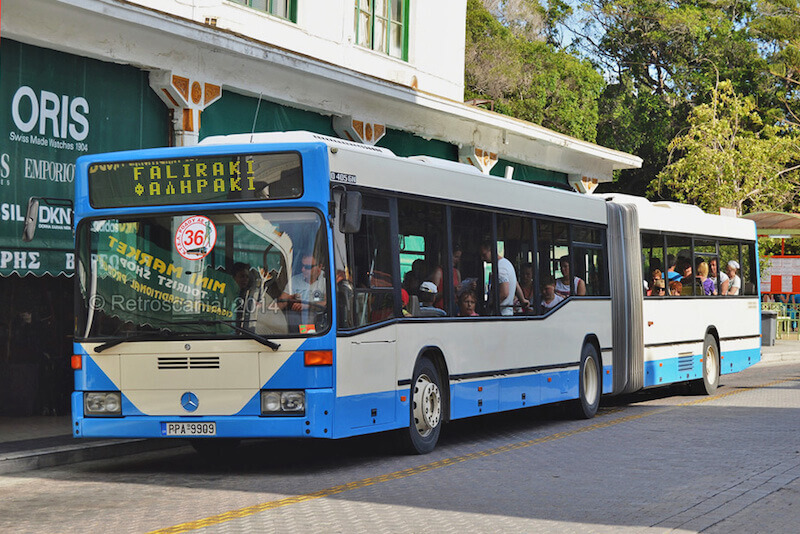 It is served by Greek transport company «KTEL», all buses of this company are painted in orange-white colors. The first run is in 6:30 am and the last in midnight. They go every 20-60 minutes (the schedule depends on the day of week). You can buy tickets in kiosks on the station or ask the driver, they cost 2.2 euro. The distance to Faliraki is about 12 km and you can overpass this distance in 30-40 minutes by bus. The difficulty for tourists is that stops are not announced and there is a chance that you can pass it by. You can ask other passengers (there are many local people among them) where you should go from the bus. To stop the bus, you can ask the driver or just push the button “Stop”. The stop in Faliraki is called “Faliraki Beach” and it is situated near McDonald’s. There is another way of trip from airport to Faliraki by hired car. 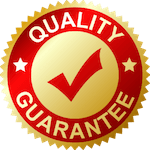 You can hire it beforehand through the site of transport company or take it by your arrival. One day of hiring costs about 25-30, fuel costs no more than 4 euro. Also some companies can ask you for deposit, which they will return you. 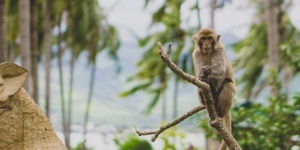 You should know, that all roads are meandering and very narrow, many drivers don’t follow the rules, so if you want to hire a car, you should be experienced and self-confident driver. It’s not very comfortable to travel by bus and with transfers, for those, who travel with baby and big luggage. The alternative way could be hired cab or personal transfer. All these ways will be more expensive, but they will save you much time. 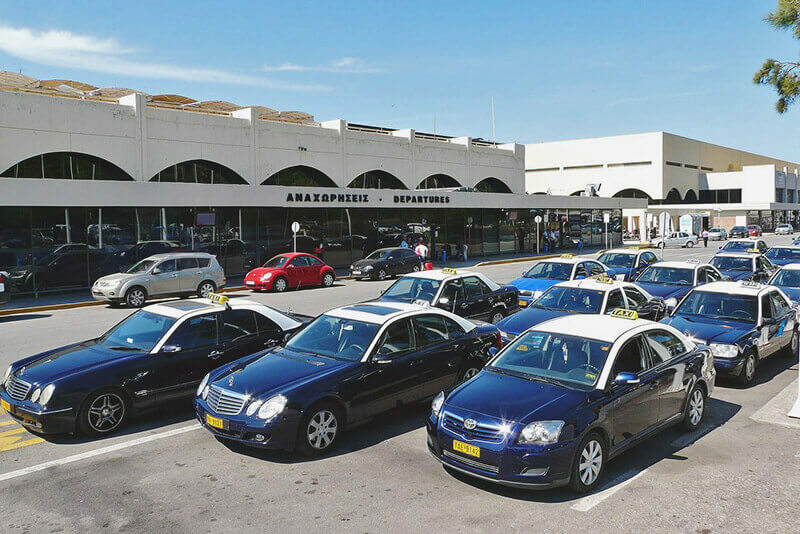 There is no problem with taxi on Rhodes, including airport. Many cabs are waiting for their passengers on taxi rank near the exit of terminal. You won’t need to bargain with the driver, because there are fixed price in every cab. Such transfer from Rhodes to Faliraki will cost you about 30-40 euro and it will take you about 15-20 minutes. Of course such kind of transfer is very comfortable for family with children and also big companies, because you can hire minibus for 7-9 people for not big money or even big bus.